7 overnights in 4-star hotel accommodation as per itinerary (subject to availability) at the time of booking or similar. 7 Bed & Breakfasts, 3 Lunch, 4 Dinners as per itinerary (BB = bed & breakfast, L= lunches, D= dinner). COST: From EUR 1790* onwards Per Person in standard twin/double room. *Min 4 persons required. The tour requires a good physical condition & hiking experience. 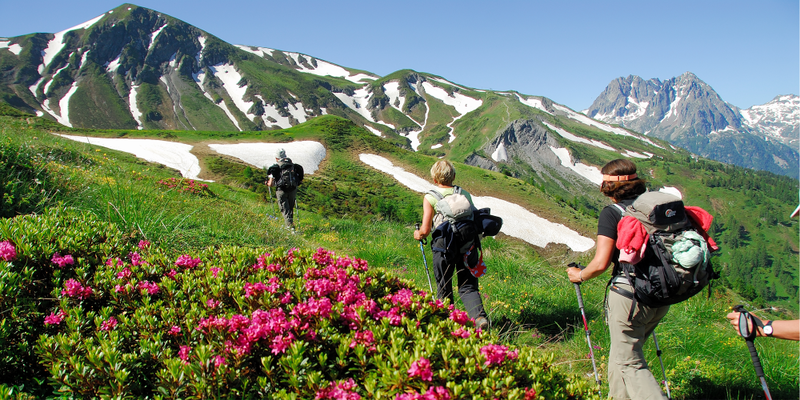 3 hiking days on maintained trails with 4 hours of hiking daily and minimum 250m of average vertical gain – maximum of 400 m. Good physical training and hiking experience on mountain trails are necessary. The other outdoor activities are easy and accessible to all. The cable cars included in the hiking days are only open from the 16th June until the 16th September. If you wish to book a stay out of these dates we will suggest other hiking programs. Having repatriation insurance is mandatory. Cancellation insurance is highly recommended.